RTS All American Garage Doors is a full-service garage door company specializing in garage door repair and service calls. 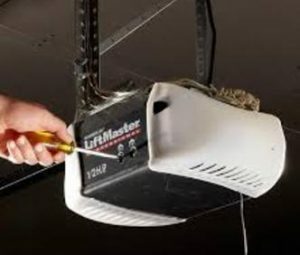 We also offer new garage door installment, as well as repair for garage door opener. When you call RTS Mobile/Pensacola, your call will be answered by a live, local technician, and an appointment will be scheduled at a time that is most convenient for you. You can rely on RTS All American Garage Doors of Mobile/Pensacola to provide the type of garage door service you only get from turning to a locally owned company. When your garage door gets off track, you will not be able to move it up or down. Usually, this is due to a cable breaking or something obstructing the path of the door. A garage door that is off track is not only unsightly, but also dangerous and unstable. Do not attempt to move the door manually or with the automatic garage door opener. In the interest of your safety, do not attempt to move it or repair it yourself. Our professional garage door technicians are trained in handling these situations. Garage Door springs and cables are under extreme pressure, and it’s incredibly dangerous to perform DIY garage door repair. Broken Springs are our most common repair. All garage door springs break, just like the tires wear out on your car. A garage door should be neutrally balanced. Even very heavy doors should be able to be opened and closed with one hand. In order for this to occur, the spring must be rated for the specific weight and height of your door. An unbalanced door can be dangerous and cause extra wear and tear on the garage door opener, as well as damage the top of the door where the opener arm attaches. Spring replacement should be performed by only trained professionals. Our garage doors and openers are made with high-quality materials and construction, but we realize that, with any system, something can go wrong. If your garage door opener stops working, our technicians can get to the bottom of your problem, whether it is a broken part, a transmitter signal problem or interference with the opener’s frequency. We have partnered with SkyLink – click here to learn more!